Ovi’s staggering growth, but where are the paid Apps? 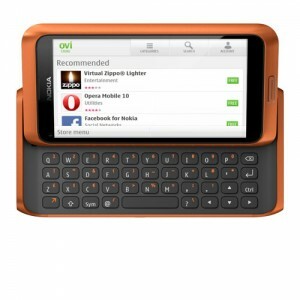 The latest Ovi statistics were out recently and it seems Nokia is very happy about it. With the staggering growth of 200, 000 new users signing up to Ovi each day and making the Ovi Store downloads to 2.3 million/day. The numbers also reflected on the 70 developers who reached more than 1 million downloads each, and now the total Nokia Ovi services users are approaching to 140 million worldwide. Ovi is currently offered to 190 countries worldwide where we see great numbers of users from Asia. Most of these services are on the Maps, Music, Messaging, Store and Ovi Life Tools. These are free services that everyone can access from feature phones to Symbian smartphones. What’s more is that Nokia and AT&T are inspired to give a total of $10 million USD prizes for 2010 Calling All Innovators competition. All developers worldwide are encourage to join the competition by simple as creating apps and games for Nokia N8 / Symbian^3 in the use for North America regions. – An updated Ovi Store experience – debuting on the newly available Nokia N8 and coming to the full range of new Symbian smartphones – giving a friendlier look and feel, faster content discovery and more popular content choices such as foursquare and the smash hit game Angry Birds. – Improvements for developers including new development tools and benefits such as free Java and Symbian signing, in-app purchase and beta in-app advertising programs, improved revenue share and advanced developer analytics. – Significant enhancements to the Nokia Qt Software Development Kit (SDK) have resulted in a 70 percent reduction in the number of lines of code required when developing for the company’s family of Symbian smartphones. – Continued expansion of Ovi Maps around the world and the integration of more new features. Walk and drive navigation is available in 78 countries and 46 languages and includes public transit details in more than 80 cities, and features such as check-in that supports location as the new social connector. Every day, maps usage is the equivalent of driving around the world 80 times. – Available in 38 markets around the world and with approximately 11 million tracks in the global catalogue, Ovi Music is complemented by the popular interconnected Gig Finder app that uses personal music preferences to find relevant entertainment venues. Nokia is the largest single source of digital downloaded music revenue in Brazil, Mexico, India, Finland and South Africa. – Ovi Mail and Ovi Chat have surpassed 17 million accounts, Nokia Messaging currently delivers push email and instant messaging to an active user base of 4 million people, and new social networking features on the Nokia N8 and other new Symbian-powered devices enhance Facebook and Twitter with a more seamless experience. – In less than a year, Ovi Life Tools and its agricultural, educational and entertainment services for entry markets has attracted more than 4.7 million subscribers in China, India and Indonesia. Ovi Store’s paid apps are still missing in many regions? What’s our take on this issue is that greater regions are still missing many quality paid apps leaving only free contents. Most paid apps are essential to users on these regions and this year we didn’t hear any updates on the availability of these issue. You can see the mid 2010 Ovi Store maps distribution below with different sections in billings for operators and somehow there still regions left with free content only such as in parts of South East Asia. We are still hoping that Nokia is working fast on expanding the Ovi Store paid content in many regions, and give updates before the year ends. Slide 8 shows Ovi Store has the highest percentage of paid apps, and Android Market the largest percentage of free apps. Slide 24 shows free apps with in-app purchases generate far more money than premium paid apps. The situation with Ovi Store allowing paid apps is far better than for iOS and Android, and is actual a plus for them, not a minus. 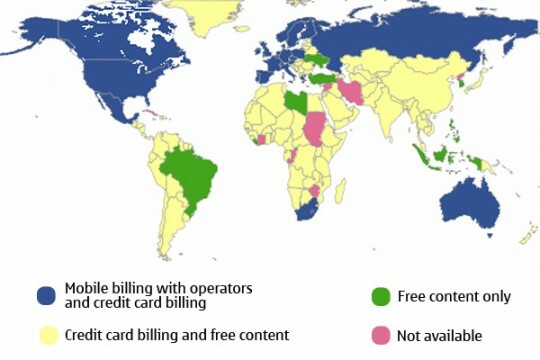 Nokia has carrier billing with more networks, credit card billing with more locales, and free app access than the competition. So its a matter of waiting for progress, and lobbying the carriers in your area to negotiate agreements with Nokia. It requires cooperation between partners, not a decision solely by Nokia. Consider yourself lucky. You can always download the application directly from the developer’s portal or an alternative app store, something you can’t even do on iOS and some Android carrier devices. You have access to Nokia Music as well, which we don’t have in the US. At least you aren’t stuck with iTunes and Apple’s price controls. Appreciate what you have, and wait for progress to take place. Its still a young industry. BTW, the US JUST got carrier billing recently, and we can’t get the devices! So its not all good everywhere. I’d trade places with you in a minute. At least you can go and try out most current Nokia devices at retailers and buy them on the spot. In the US, we have the 5230, the at&t branded and crippled E71x, the 6970 piece of junk, and we JUST got the SE Vivaz, a year after launch. Everything else is unsubsidized, and you have to buy and hope you like, since no retailers carry them. Thank you for that very informative comment Chris. Just clarifying that most paid apps that I referring are mostly the games and multimedia content. Currently the main problem is here the operator and credit card billing which Nokia and local corp. don’t offer. Paid apps and great numbers of In-Apps are currently not available because of the billing issue. In my case that we are in Asia which don’t have paid content support, I’m sure that the volume of free contents are greater than the volume of in-app and paid contents. In contrast with the US markets which paid apps are greater. Although the volume of free content in Ovi Store is great, still there are few quality apps left and the mediocre and “toy apps” are occupying the rest of the space. Some In-App are also available, but like I said there are only few which are essential. Symbian smartphone users in Asia are growing fast and I hope Nokia would have the expansion and support to paid apps to the rest of the regions. You’re really right about on your predicaments over US issues of Ovi and Nokia. But let’s just hope that they will somehow make some improvements and changes there, and of course, here.